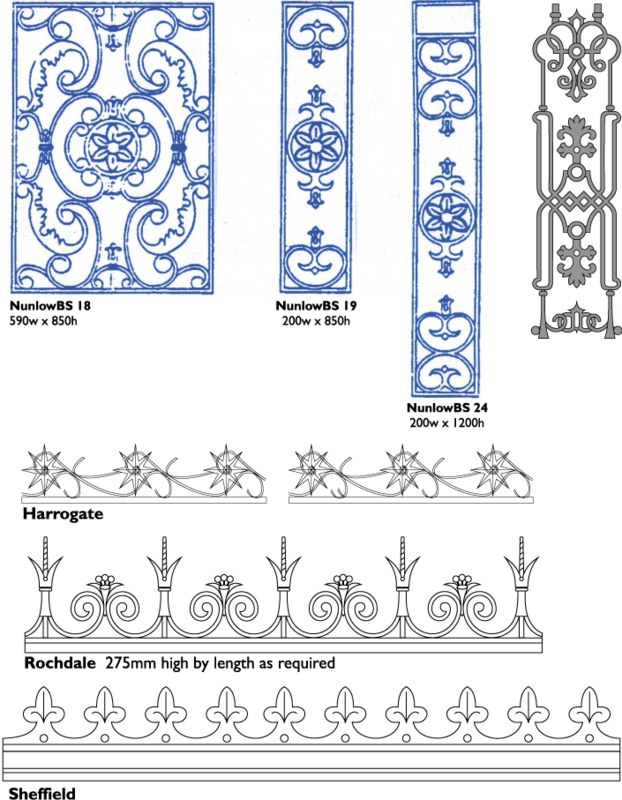 We make cast balustrade panels and also fabricated panels. We even combine the two, using cast panels within a fabricated framework. They can be supplied complete with handrails in metals or hardwoods. Our cast frieze sections can be used just about anywhere! Simple fabricated structures can be greatly enhanced at little cost by adding an appropriate frieze.